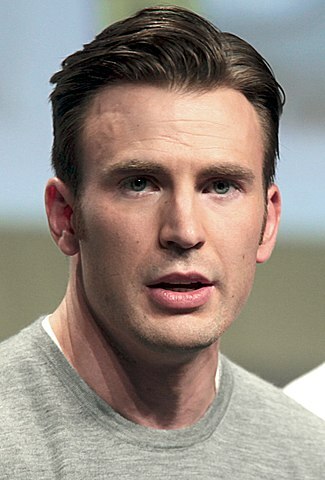 Chris Evans was born in Boston, Massachusetts, United States, on June 13, 1981, is an American actor. Young Chris Evans made his big screen debut in the drama film The Newcomers (2000) in role as Judd, opposite Kate Bosworth. Chris breakthrough role came as Johnny Storm / Human Torch in superhero film Fantastic Four (2005), opposite Jessica Alba. He played the same character in sequel Fantastic Four: Rise of the Silver Surfer (2007). Chris dated actress Jessica Biel (2001-2006) and comedian Jenny Slate (2016-2017). He was paid $300,000 for his role in movie Captain America: The First Avenger (2011), for which he won the People's Choice Award for Favorite Action Movie Actor. He is a fan of the New England Patriots. Is a supporter of LGBT rights. Is a fan of tap dancing. He is good friend with Chris Hemsworth and Scarlett Johansson. I like girls who are self-deprecating. I like girls who make fun of themselves. If you can't poke fun at yourself, what are you? I just want someone with a good soul. That's about it. The rest I'm really flexible on. I decided to make 'Captain America' because I realized I wasn't doing the film because it terrified me. You can't make decisions based on fear. You know, the reward for 'Captain America' is amazing. It's always fun to see a giant spectacle film and see the fun stuff - the special effects. Everybody goes and sees 'Fantastic Four,' but nobody sees 'Sunshine.' I'd have a different career if people saw that. I love getting to be in 'The Avengers.' You just breathe a little bit. It's not all about you. It's so nice to have other people bearing the burden of responsibility.